Can you feel the "back to school" energy in the air? As calendars turn to September, it is obvious that the FEI World Equestrian Games™ Tryon 2018 (WEG) at Tryon International Equestrian Center (TIEC) in North Carolina are just ten days away, and WEG organizers are capitalizing on the back to school mindset. No, it won't be all competition, all the time in Tryon; an educational program will run throughout the event, which runs from September 11 to 23, 2018. Additional programming has been announced for the World Equine Expo™ to be hosted within the EQUUS Theater, occurring alongside WEG. Spectators can expect to hear insight from renowned Olympians, experts in equine care and medicine, and from industry innovators and academics. Several of the speakers will be of direct interest to Hoof Blog readers. They are highlighted here, but the entire list is impressive, and the speakers cover many aspects of sport horse care, breeding and competition. They will also be a good introduction to the US horse industry for international visitors. This is only a partial list of the newly-announced speakers; click here to read the complete list of all speakers on all subjects. These speakers are listed in the order of the schedule. Sunday, September 16th at 9:00 a.m.
Dr. Katie Cosgriff Curry is a fourth-generation farrier and holds a doctorate in chiropractic from the University of Western States. 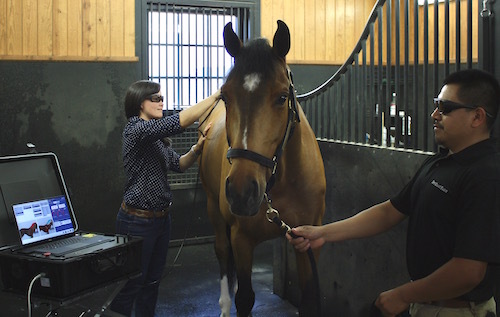 She is certified by the International Veterinary Chiropractic Association and specializes in equine hoof care in relation to horse spinal health. 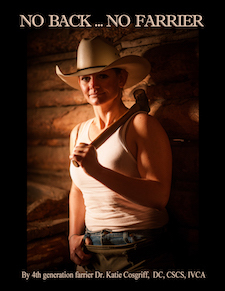 Curry is also the author of No Back, No Farrier, created from her experience as a National Strength and Conditioning Association as a Certified Strength and Conditioning Specialist to help farriers and trimmers prolong their careers in the profession. She will be bringing this expertise to the podium in the EQUUS Theater. Friday, September 21st at 9:00 a.m. Professor Samantha Brooks of the Brooks Equine Genetics Lab at the University of Florida will present on "Horse Genetics 101: What Every Horse Owner Needs to Know about Genes," where she will explore how the future of a foal unfolds from the genetic code contained within its cells and survey the basics of genes' influence over important characteristics for equine health and performance on Thursday, September 20th at 9:00a.m. Brooks will also share on "Galloping into the Future: Recent Research in Horse Genomics," covering emerging technologies in genome sequencing and how new tools available to horse owners and breeders have the potential to change the way sport horses are bred and managed on Friday, September 21st at 9:00 a.m. Note: Dr. Brooks has conducted extensive research both at Cornell University and at the University of Florida on genetic aspects of laminitis, and Equine Metabolic Syndrome. Friday, September 21st at 10:00 a.m.
Presenting on the effects of horse-and-rider interactions on equine performance, Kristine Vernon, PhD of Clemson University's Animal and Veterinary Sciences department will highlight her recent research and current field knowledge on the horse-rider interface, which directly impacts the horse's athletic performance and longevity as an athlete. Spy Coast Farm veterinarian Sarah Mouri at work on a sport horse in Kentucky. 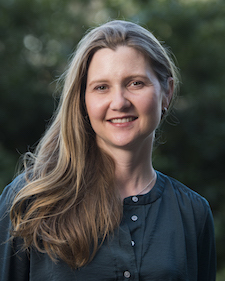 Sunday, September 23rd at 9:00 a.m.
Sarah Mouri, DVM and Resident Sport Horse Veterinarian at Spy Coast Farm in Lexington, Kentucky, will present an overview of current modalities for equine fitness, injury prevention and rehabilitation. She will discuss the need for clinical studies to substantiate claims of efficacy in horses and the suggested protocols for modality use. and Randi Thompson, CEO of the Horse and Rider Awareness Educational Programs. For updated WEG information, visit www.Tryon2018.com or follow @Tryon2018 on social media. PS "WEGucation"? Just a Hoof Blog back-to-school pun. Learn more about the future of your profession by taking a front row seat to monitor progress in equine research. 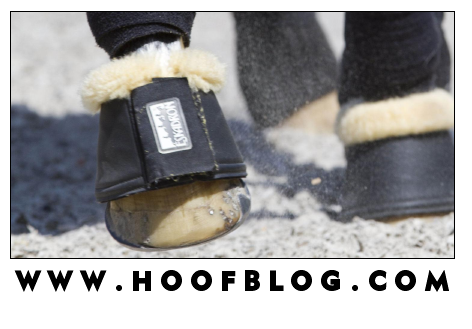 Each month, HoofSearch compiles information on all new peer-reviewed articles, conference proceedings, patents and theses on 15 equine lameness and hoof science topics in one convenient document. Click here to start your subscription or visit HoofSearch on Facebook.